Core Performance Fitness and Training Studio is locally owned and operated in Ellicottville, NY. With over 2 decades of experience in the fitness industry, our studio will provide you with a one on one training experience whether you are receiving personal training or in a group fitness class. All instructors are certified and able to provide professional support and guidance to insure your safety and success. Core Performance personal training provides customized total body workouts designed to make you more powerful, balanced and flexible. Started fitness career in 1983 as an aerobics instructor for Buffalo Athletic Club. In 1985, trained under Bobbi Miller at Bally’s Athletic Club. Between 1984-1986 attended University of Buffalo for Physical therapy. 1986-1988 continued education at Buffalo State College for Elementary Education. 1988 began teaching third grade at Forest Elementary School in Williamsville, NY. Left teaching to be a full time mom in 2000. Began certification process/education with Afaa, (Aerobic and Fitness Association of America) for Mat science. Continued with personal training certification from NETA, (National Exercise Trainers Association). In 2006, assisted in opening Springcreek Athletic Club in Springville, NY. Was Fitness coordinator until 2008. 2008-Began ‘Core Performance Fitness’ and personal trained clients out of home gym. 2009-moved to 1887 Building to expand on fitness business and offer group fitness classes. 2013- Moved Core Performance Training and Fitness to Ellicottville Square to expand services. New facility offers a variety of fitness classes. Personal training also expanded. July 2015- Moved Core Performance to newest location on the back side of The Ellicottville Square Building. Even more group fitness classes offered with a wider array of fitness options. New location boasts 2000 sq ft. Two separate bathroom with shower facilities. Rubber flooring throughout facility. Much more room for all fitness purposes. 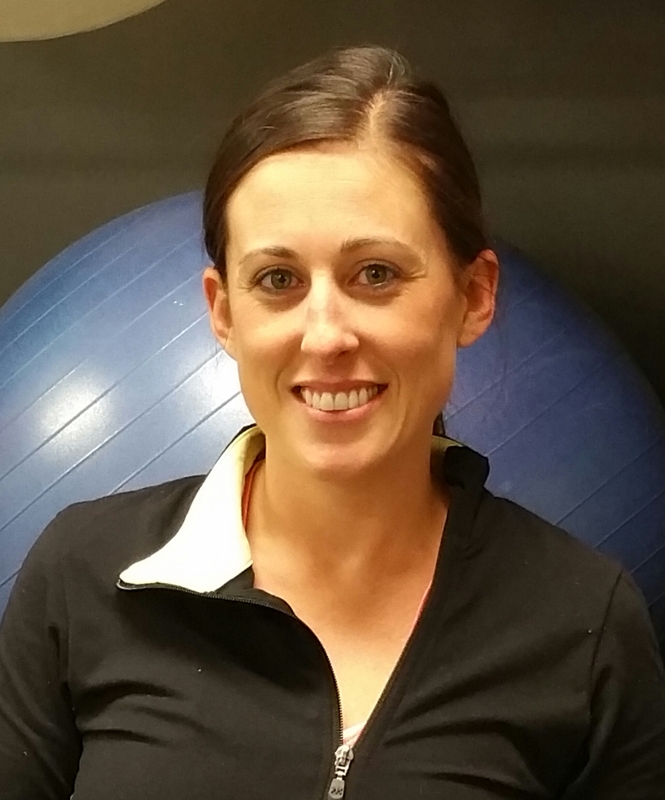 Debbie Fredrickson is now a certified Personal trainer and is accepting new clients! Debbie Golley Fredrickson is one of the strongest women you will meet. Add to that her infectious enthusiasm and undeniable laughter and you have a fitness machine. Debbie constantly searches for new and unique ways to train her clients. She developed the “No Jumping Class” for all of the folks who want to train hard, but do not want or have the ability to add plyometrics to their fitness routines. However, even without that element, Debbie always creates a well-balanced and challenging total body workout for her class. Debbie also assists in creating the circuit stations used during the circuit classes which insures a wider variety and more challenges for all fitness levels. 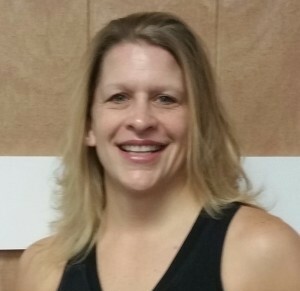 Debbie is dependable and always willing to stay after class to mentor anyone to help them get to their fitness goals. 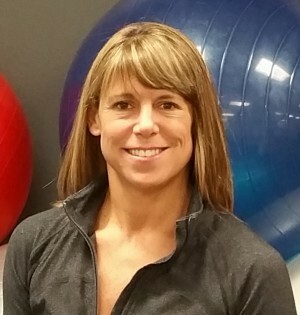 Please call Debbie at 716-474-5176 or email her at debbiefredrickson@yahoo.com for information on personal training with her. My name is Mila Clauss. I currently live in Ellicottville with my husband, Trey, and our little boy, Trennon. As a kid/teenager I was never “active”. I was not involved in organized sports; my interests seemed to lead me toward more creative outlets. It was in my early 20s that I realized (or rather accepted) that I was overweight, out of shape, and the “Freshman 15” hadn’t done much for me. In 2006, I had just started my career as a teacher in Springville when another colleague suggested we join the local gym. That’s when fitness and Kim Duke first entered my life. I remember walking into the gym to take my first class and halfway through the class I walked out because I literally thought I was going to faint. I persisted though, returning for classes, and eventually hiring Kim as a personal trainer. At that time, I was the person who consistently thought (and asked Kim), “How long will this take”, “When can I be done working out”, and “Is this the final set forever”. Needless to say, I didn’t see the results I was looking for. I dropped in and out of classes and training and started and stopped many diets. It was not until January 2010 when I broke my leg while skiing that I made the change I had needed for so long. After surgery the doctor told me I would be unable to walk on my right leg for 5 months. This “sentence” literally kick started my journey to NEVER being lazy and unmotivated again. I rehabbed my leg through physical therapy and started training with Kim (again) about 2 months after the injury. I began to eat healthy and started to see the results. This time around it wasn’t about “how long” or “when can I stop”; it was about “what’s next” and “when can I workout again”! At the end of those 5 months I was the healthiest, leanest, and strongest I had ever been in my entire life. From there I wanted to keep up my fitness level and healthy lifestyle so I took courses to become a group fitness instructor, which is where I am today. Being fit and active is something that is part of my everyday life. It took a long time for me to realize that fitness and health aren’t short-term goals, but something I can enjoy and do everyday. Changing up my fitness routine, enjoying the things I like (not being “stuck” on a diet), and surrounding myself with like-minded people who motivate and encourage me keep me going each and every day. Besides having our sweet, baby boy and marrying my best friend, getting fit has been one of my biggest accomplishments. I am firm believer that “you are one workout away from a good mood”! Core Performance Fitness and Training is excited to announce Brad Poole will be joining our power packed team. Brad is not only an ISSA Certified Personal Trainer, but is also certified as a Strength and Conditioning Specialist through NSCA. And most recently, Brad became certified as a Sport’s Performance Coach through USAW. All of these initials may not mean much to the average reader, but to those in the fitness industry, these certifications are by far the most difficult to obtain. 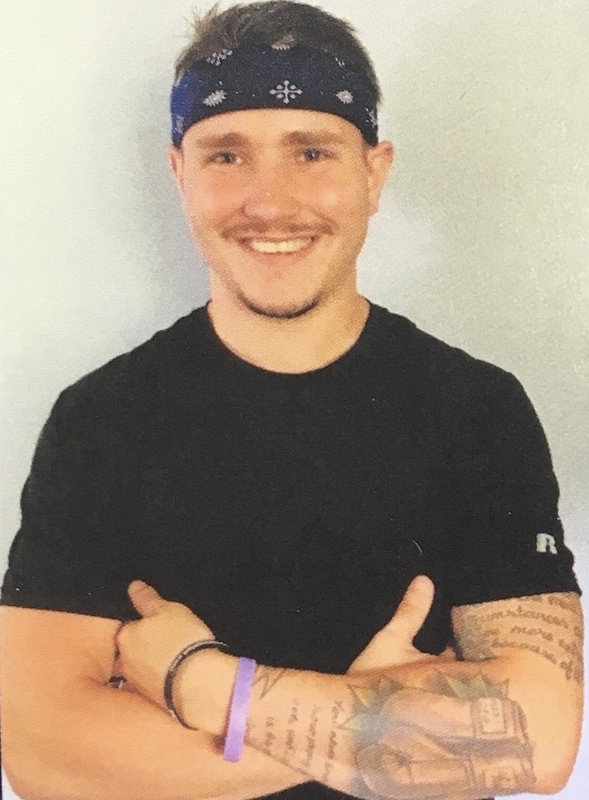 But, well before Brad worked to gain these certifications, he was busy working on receiving 2 Bachelor Degree’s – one in Sports and Recreational Management, the other in Exercise Science. Then, he followed those degrees with a Master’s in Sport’s Administration. But, what really sets Brad apart from the rest of the pack is his perseverance and warrior mentality. You see Brad was diagnosed with Cystic Fibrosis at 6 days old. This is an inherited life-threatening disorder that damages the lungs and digestive system. Treatment can help, but this condition cannot be cured. Brad wears a vest (airway clearance system) three times a day for 30 minutes each session, as well as, taking 3 different types of nebulizers daily and 50 pills daily to stay healthy and alive. Add 5-6 days of exercise to the equation and he has a full-time job just maintaining his health. Since becoming an independent contractor, Brad has already obtained 13 new clients that he trains in a gym setting or a home setting. He is presently running a Warrior Fit Boot camp at Core Performance Fitness studio, which sold out after the first day. Wherever Brad goes, he has people who follow him. This is due to his relentlessness, dedication and physical results he obtains with his clients.